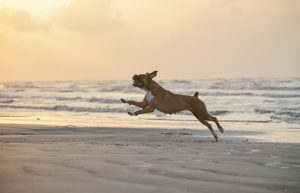 Curious about how to make the most of a Galveston vacation with your pet? Galveston is an extraordinarily pet-friendly place — you’ll see a number of pets out and about with their owners all over the island – from the Strand to the beach – on any given day. Here are the top 10 things to do with your pet in Galveston. 10. Plan a beach playdate with your furbaby. 9. Enjoy a leisurely meal at a restaurant that also caters to guests of the four-legged variety. 8. Stroll along Galveston’s historic Strand and window shop to your heart’s content. Dating back to the 19th century, The Strand in Downtown Galveston is a must-see. You’ll find quaint shops, stunning seasonal decorations, historic architecture, and breathtaking bayside views. With over 70 blocks to explore, you and your pup will enjoy a brisk stroll along the covered sidewalks. 7. Even better — shop at an establishment that welcomes your furbaby. 6. Commemorate your vacation with an old-timey photo. Featured in National Geographic’s Dog Lover’s Guide to Travel, Buster’s Old Time Photos is a self-proclaimed time machine. They provide costumes, old-fashioned props and sets, and editing services to create a vintage-worthy photo souvenir. In addition, the photographers are knowledgeable and comfortable snapping pictures of your pet. 5. Spend the afternoon romping together at one of Galveston’s unique, dog-friendly parks. While many Galveston area parks allow dogs, three local favorites cater specifically to pups and owners. Check out Lindale Park, a fenced location with fantastic tennis courts and even a ballpark; Menard Park, a popular venue that offers tennis courts, picnic areas, and a pavilion; or Kempner Park, with its stunning scenery and historic Garden Club. Admission is free for all parks. 4. Journey to nearby Seabrook for a scenic trip down the bayou in a kayak or paddleboard. Pinky’s Kayak Rentals offer water activities like rentals, guided tours, and paddleboard yoga. You can choose from several different paddling trails, each with unique views of nearby nature and the living bayou. Your pup is welcome to join in the fun. Afterward, grab a bite at Boondoggle’s Pub next door. 3. Peruse art and antiques in a gallery that welcomes your best friend. Leashed dogs are always welcome. In fact, the establishment provides complimentary treats for your furry friend. Just a word to the wise — open aisles of valuable, often fragile items means you’ll need to keep an extra-close watch on your pet. For questions and hours of operation, call 409.750.0092. 2. Dolphin watch onboard a covered boat in Galveston Bay. Baywatch Dolphin Tours is an environmentally conscious, pet-loving company that offers 45-minute cruises designed to visit the dolphins in their natural habitat. In addition to being safe for pets and pet parents, the boats are propeller-free to protect the dolphins as well. 1. Experience a relaxing beachside stay with your furbaby at a pet-friendly beach house. Taking the top spot, what’s a great vacation without an amazing beach rental? Enter Sand `N Sea Properties, Galveston’s trusted, family-owned, one-stop-shop for Island vacation rentals. Over 50 pet-friendly beachside homes are available, each featuring a gift for your pet upon checking in. 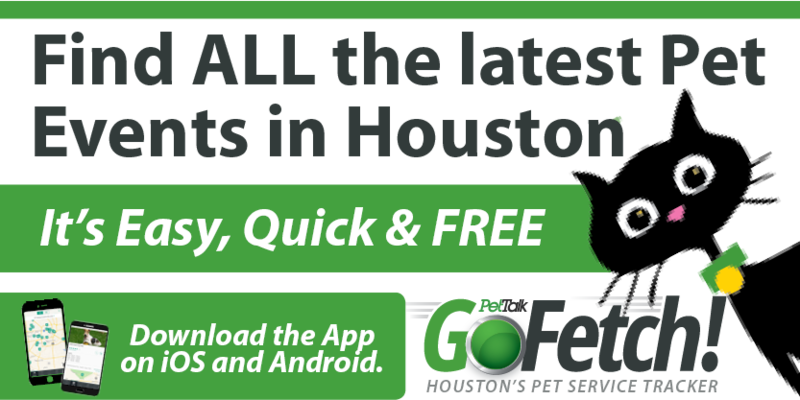 Reserve your pet-friendly vacation home today online or by calling 409.797.5500. Experiencing island life is a great way to rejuvenate for both pets and their pet parents. With so many recreational options to choose from, you and your best friend are sure to have a blast on your Galveston getaway.